Welcome to our newsletter archives! Most members know that our newsletter is the primary source of information about all the GroupBuys and special offers for all the homeschooling programs and products available through the Co-op, plus much more. In each newsletter, you'll find a recap of the home school curriculum that is being featured that month, often with SmartPoints bonuses for those who purchase during the month. In addition, you'll find a NEW GroupBuyS section listing the homeschooling programs launched in the last week or so, a LAST CALL section listing the GroupBuys that are about to expire, plus an "IN THE PIPELINE" section where we discuss some of the home school curriculum and homeschool materials we are thinking about offering. This is probably the most important section of all, because, this is where we ask you to take a look and let us know what you think about each particular home school curriculum. In general, we only go forward with a GroupBuy when there is sufficient member interest, so it is essential that you keep an eye on this section of the newsletter and let us know what you think. Also, in each newsletter, we keep you abreast of what's happening in our Field Trips and other databases, the latest free home school curriculum discoveries by Diane Flynn Keith, other projects the Co-op may be contemplating, and we wrap it all up with a JUST FOR FUN section which is, you guessed it, just for fun! It's not all work and no play at the Co-op! It's Language Arts Month at the Co-op! It's LAST CALL for Math Month at the Co-op! Deals of the Week -- LAST CALL! - Times Tales, MCP Mathematics, The Quarter Mile Math and Yay Math! It's Math Month at the Co-op! It's LAST CALL for Bring History Alive! Month at the Co-op! It's Bring History Alive! Month at the Co-op! 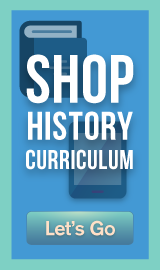 It's LAST CALL for Best Deals in Homeschool Curriculum Month at the Co-op! 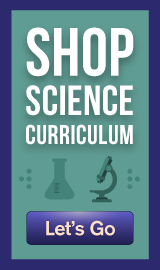 It's Best Deals in Homeschool Curriculum Month at the Co-op! It's LAST CALL for Holiday Savings Month at the Co-op! It's Holiday Savings Month at the Co-op! It's LAST CALL for Learning Fun Month at the Co-op! MORE CYBER WEEK DEALS ENDING - Save an Extra 10% on Member Favorites such as IXL, ST Math, DreamBox Learning, Wordly Wise 3000, Explode the Code, Redbird, DriversEd.com, Touch-Type Read and Spell and much more! It's Learning Fun Month at the Co-op! It's LAST CALL for Learning Resources Month at the Co-op! Deals of the Day -- Discovery Education Day! It's Learning Resources Month at the Co-op! Deals of the Day -- CCC! Streaming Media Day! It's LAST CALL for STEM Month at the Co-op! It's STEM Month at the Co-op! It's LAST CALL for Back to School Month at the Co-op! Member Meter - YAY Math! It's Back to School Month at the Co-op! FREE for the Summer - 10 Award-Winning Products - LAST CALL! IIt's Back to School Month at the Co-op! FREE for the Summer - 10 Award-Winning Products - Only a Few Weeks Left! FREE for the Summer - 10 Award-Winning Products - One Month Left! It's LAST CALL for Electives Month at the Co-op! Deals of the Week -- LAST CALL! - PLATO Learning Week! FREE for the Summer - 10 Award-Winning Products! It's Electives Month at the Co-op! FREE for the Summer - 10 Award-Winning Products for All Ages! It's LAST CALL for Summer Fun Month at the Co-op! It's Summer Fun Month at the Co-op! 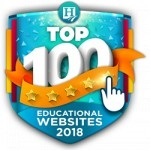 FREE for the Summer - 10 Award-Winning Products for Math, Language Arts, Technology, Electives and more! Summer Fun Reading Program - Join today! It's LAST CALL for Celebration of Homeschool Moms Month at the Co-op! It's Celebration of Homeschool Moms Month at the Co-op! Homeschool Planet FREE Trial -- "Continues to provide everything I need, and it just keeps on improving!" Homeschool Planet FREE Trial -- "Homeschool Planet has made my planning so much more effective." Homeschool Planet FREE Trial -- "I just love this program! I am so happy I found it!" Homeschool Planet FREE Trial -- "I cannot count the hours of organization this has saved me in the last 5 years."